Muhammad Abdul Ahed was born in Hyderabad. India 1919. He received an Arts degree in Architecture from the Sir J J School of Arts in Mumbai in 1943 and a Diploma in Architecture from the Leicester College of Arts and Technology in London in 1951; following this, he became an Associate Member of the Royal Institute of British Architects (ARIBA). From 1951 until 1964, M A Ahed worked for the Pakistan Public Works Department (PPWD), the last six years as its Chief Architect. He co-founded the Institute of Architects in Pakistan (IAP) in 1957 and, in 1958, the Government School of Architecture (later to become of Architecture department of the Dawood College of Engineering and Technology) in Karachi; he headed t he Government School of Architecture as Principal for six years. In 1964, M A Ahed established his private practice, Ahed Associates, in Karachi. The most prestigious project of his architectural career is the State Bank of Pakistan building in Islamabad, completed in 1970. He served as an international Jury Member for the Design Competition for the Regents Park Mosque and Islamic Centre in London. The same year, M A Ahed was awarded the Sitara-e- Khidmat by the President of for his meritorious service to the nation. He remained Founding and Advising Partner of Ahed Associates until his death in November 2001. Sheba Akhtar was born and raised in Karachi, where she was educated at St. Josephs Convent High School and the Karachi Grammar School. In 1984, she received a Bachelor of Arts degree in Mathematics from Bryn Mawr College in the United States, followed by a Master of Architecture degree from the University of Pennsylvania in 1987 and registration with the Architects Registration Board of the United Kingdom in 1991. Ms Akhtar has practiced as an architect in the United States, England, Scotland and Jordan, where her work has included the design of institutional , commercial and residential buildings and projects, as well as the restoration of ancient monuments. She returned to Pakistan in 1993, since which time she has practiced in Karachi. Ms. Akhtar is Associate Professor of Architecture at the Indus Valley School of Art & Architecture in Karachi where has taught the History of Architecture, Theories of Architecture and Architecture Design since 1994. 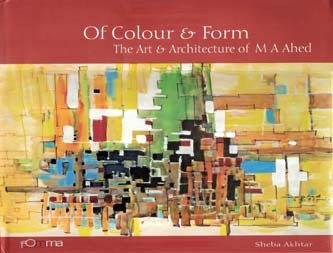 She lectures and writes on architectural education and practice. She resides in Karachi with her husband and daughter, and is currently working on her second book, pertaining to the history of art & architecture.